We are excited to officially announce that the Taste is moving back to Downtown St. Louis! 2019's Taste of St. Louis celebrates it’s 15-year heritage with new attractions that highlight the amazing local talent STL has to offer (in the music, culinary and community scene). Mark your Calendar for September 13th-15th at Soldier Memorial Park. You won't want to miss it! The Taste of St. Louis has always supported a multitude of different charities. 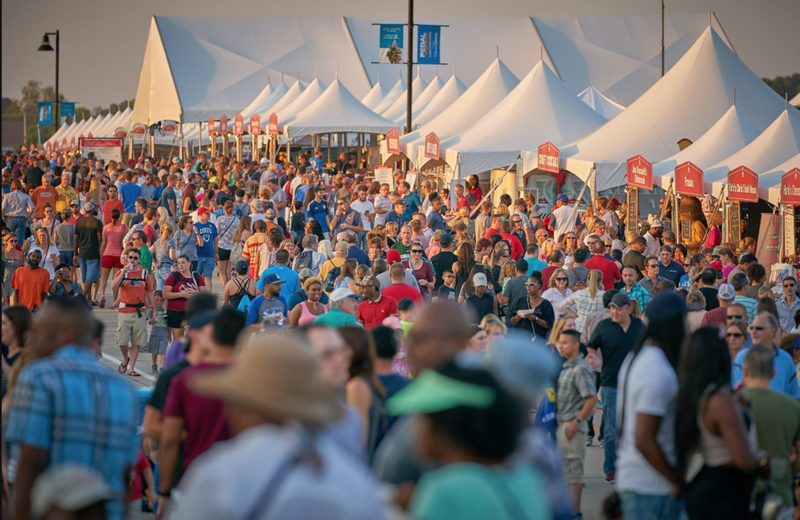 2019’s Taste of St. Louis festival focus will greatly emphasize local community partners, local healthy food producers, fitness and nutrition-focused education. We are proud to partner with the Missouri Coalition for the Environment, Lift for Life Gym, The St. Louis Area Food Bank and Big Brother Big Sisters. Such groups and information will be on full display in our newly added “Healthy@Home” section of the festival. Over the past 13 years, the event has helped raise more than $495,000 in charitable donations to benefit regional organizations such as Food Outreach, St. Patrick Center, the Make-A-Wish Foundation, the St. Louis Blues Society, Benton Park Neighborhood Association and the Knights of Columbus, just to name a few!